Blackpool Transport has ordered a further 25 ADL Enviro400 City double-deck buses from Alexander Dennis Limited (ADL). 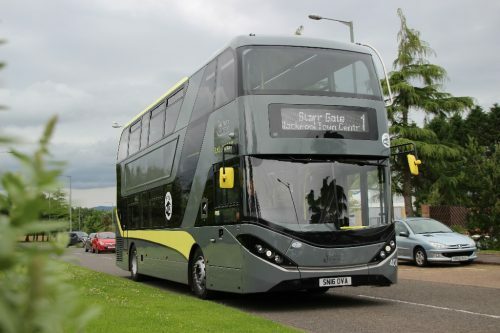 The first 10 Enviro400 City vehicles have been in service on the town’s Palladium route since July. 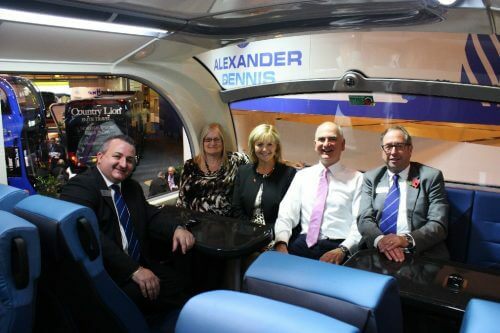 These were developed to a unique Blackpool Transport specification as a result of a close collaborative partnership between the transport authority and ADL, which started at the Coach and Bus Live show at the NEC in 2015. The new order fulfils Jane Cole’s, Managing Director of Blackpool Transport, commitment to add 25 more Enviro400 Citys to the fleet if the introduction of the first vehicles was successful from an operational and passenger perspective. 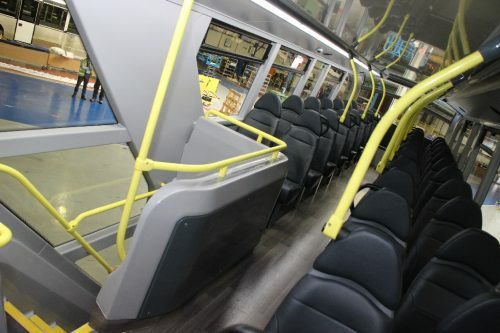 The 25 newly ordered vehicles will run on route 14 and have a social seating configuration to the ones already in operation, while still maintaining the strong styling, glazed stairwell, SkyView wrap-over rear window and individual USB charging points which have been praised by passengers. Social seating with seats grouped around three tables in the upper saloon will provide passengers with space for working and studying along with centrally sited USB charging points to improve connectivity. This layout makes travel time more productive or sociable for the younger generation of passengers on their way to and from the schools and university which route 14 serves. It is also intended to increase ridership amongst other passenger segments including families and groups of friends.